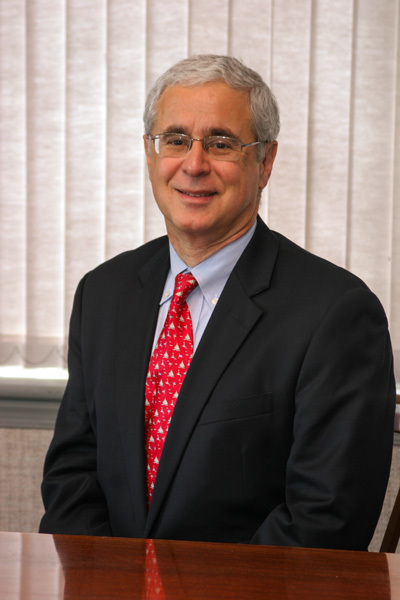 Ralph Jacobs is an experienced litigator who draws on his legal analytical ability and substantial trial experience to represent clients embroiled in difficult disputes. Whether representing a business owner with a transaction gone sour, a hedge fund in an international marketing dispute, a trust beneficiary seeking to remove trustees, or a non-profit entity needing to remedy construction defects in its new office space, Ralph applies a combination of vigorous advocacy and creative problem solving to each case. He appreciates the advantages of resolving differences quickly and cost effectively when possible, but does not hesitate to pursue a case to trial when necessary, guided not only by an understanding of the legal and factual complexities, but by his client's real world objectives. He is equally comfortable dealing with financial matters or cutting edge technology. He has represented the inventor of an electronic voting machine in a patent infringement trial, defended a web site designer at trial on claims of theft of trade secrets, represented a CEO in a trial over control of a closely held corporation, and handled an arbitration to protect the rights of a pioneering web site against a predatory joint venturer. Ralph honed his ability to handle complex high stakes litigation earlier in his career as a federal prosecutor concentrating on major white collar criminal investigations and trials, including what was at the time the largest tax shelter fraud prosecution tried successfully. As a defense attorney, he has represented grand jury targets and witnesses in sensitive criminal investigations involving allegations ranging from banking irregularities to defense procurement violations to FDA compliance issues. He understands the range of outcomes facing an individual or company swept up in a criminal investigation and has been able to negotiate favorable resolutions in many cases. When necessary, he is equally capable of defending a client against complex criminal charges at trial, and has tried criminal cases involving allegations such as mortgage fraud, tax evasion, and honest services fraud. Ralph is also an experienced appellate attorney who has handled over 100 cases before state and federal appellate courts. He serves as an advisor to the American Law Institute's project on the Restatement of Economic Torts, and is a frequent instructor for the National Institute of Trial Advocacy. Ralph received his A.B. and J.D. degrees from the University of Pennsylvania. In law school he served on the law review and was elected to the Order of the Coif. He is admitted to practice in Pennsylvania and New Jersey. University of Pennsylvania, B.A., J.D.